The traditional wooden garage door is quickly being replaced by more durable models made from steel and vinyl. For many consumers, it can be difficult to choose between these two materials. While each has its own advantages and disadvantages, buyers can base their selections on factors such as price, maintenance and durability. Vinyl garage doors are substantially more expensive than steel in regards to upfront costs. When the product warranties and maintenance requirements are taken into consideration, however, vinyl is often the more cost-effective of the two. Most vinyl doors come with a lifetime warranty, while steel door warranties may cover only 10 to 20 years on average. One of the primary benefits associated with vinyl is the fact that it is highly resistant to dents. Steel tends to develop dents or dings when struck by a stray ball or other object. These dents not only detract from the door's appearance, but can also lead to rust or corrosion that can shorten the life of the unit. The only exception to this rule is in very cold climates, where a sharp impact may cause vinyl to crack, while steel will simply dent under the same conditions. Most vinyl doors feature integral color throughout the entire thickness of the door. In the event that the vinyl is scratched or scuffed, the damage will be less noticeable because there will be no color change. Steel on the other hand, has a painted or baked on finish. It is highly susceptible to scrapes and scratches, and these signs of damage are highly visible in areas where paint has been removed. At the same time, a steel door can be repainted to change its appearance, while a vinyl door cannot be refinished. 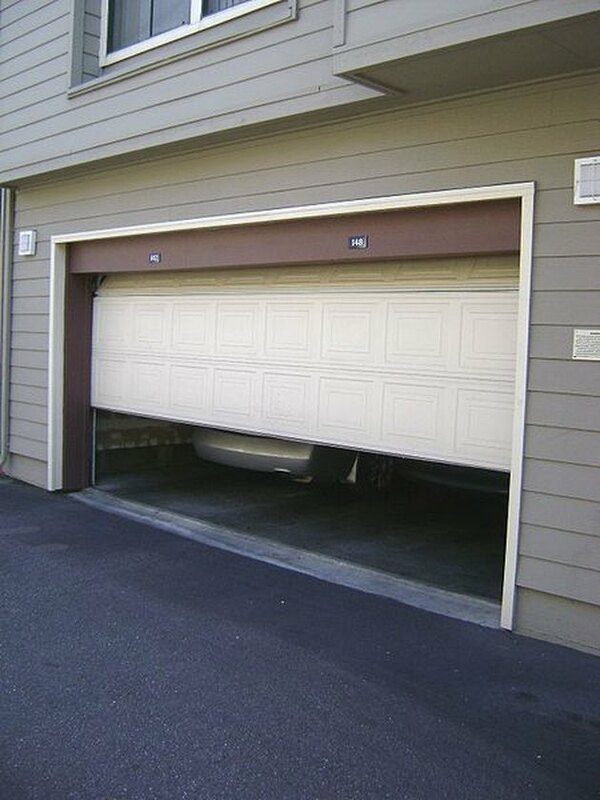 In most cases, steel garage doors are made of two sheets of metal with a layer of insulation sandwiched in between. Vinyl doors are often left uninsulated. This means that vinyl doors may make it difficult to maintain a consistent temperature in your garage and may lead to increased heating and cooling bills. Insulated steel doors help keep cold air out so that less energy is wasted. One of the primary differences between vinyl and steel garage doors is their appearance. A steel door can be embossed to resemble wood, or may be pressed to form panels or other designs. Vinyl that has been embossed with wood grain does not look nearly as realistic as steel, especially on lower-end models. When choosing a smooth or panel design, however, vinyl may be the better choice. It is rust-resistant and often contains a UV-resistant finish so that the color of the vinyl won't fade. Paint used on steel garage doors often fades after years of sun exposure.